The policies of Silicon Valley tech companies have put the safety of Iranian activists at risk. In an op-ed published in Wired magazine, Fereidoon Bashar of ASL19 and I share why now more than ever it’s time for companies like Google and Twitter to prioritize supporting democratic movements and plan, design, and implement accordingly. You can read the full article bellow. If corporate responsibility is an important cause for you, make sure to share your thoughts with us and share this article with your community. THE WORLD IS witnessing the biggest protest movement in Iran since the 2009 Green Movement uprising. Over the last two weeks, there has been unrest in nearly every major Iranian city and dozens of smaller towns. Corruption, economic mismanagement, and neglect are the protesters’ primary grievances, though the chants quickly turned political. Predictably, the government has cracked down: More than 32 people have been killed and at least 3,700 have been detained since the protests began. 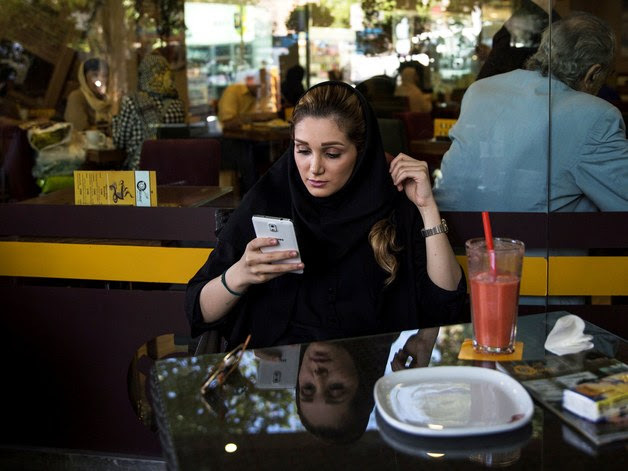 The decision to restrict communications has had an immense impact on the daily lives of Iranian citizens, including the more than 48 millionsmartphone users. That’s because Iranians do online what they cannot usually do in the streets: Assemble, organize, and express themselves. The internet is the main platform and communication tool for citizens to share their thoughts with each other and the world. Cut off from Telegram, which has been instrumental in allowing reformists to reach their constituencies, Iranian protesters have turned to circumvention tools and VPNs to access information, read about the protests, and communicate with one another. No doubt that the world’s leading tech companies are balancing many goals that at times are at odds, if not contradictory, including design, development, security, and legal compliance. But if technology is going to to reach its loftiest potential and promise—to support democracy and freedom, to improve all lives, especially those most in need of digital tools of expression—Silicon Valley can and must do much more. Companies like Google and Twitter need to prioritize supporting democratic movements and plan, design, and implement accordingly. The State Department and Treasury can help, too, by providing guidance to companies about how they can comply with General License D-1 while continuing to keeping communication channels and technologies open.